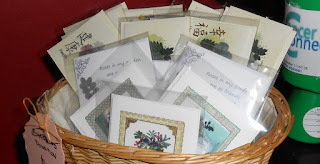 I've been working hard this last two weeks putting together bundles of cards for fundraising. I'm so glad to be able to do it and if it helps Charlie Bear, the Church Roof and Cancer Connections in their good works then I will be a happy bunny. I'm using up lots of craft stash that has been in storage for too long and also of course my laptop and printer that I couldn't do without. 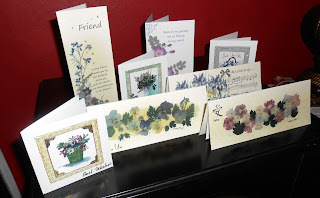 The cards are mostly prints of my own pressed flower artwork with some embellishments added. 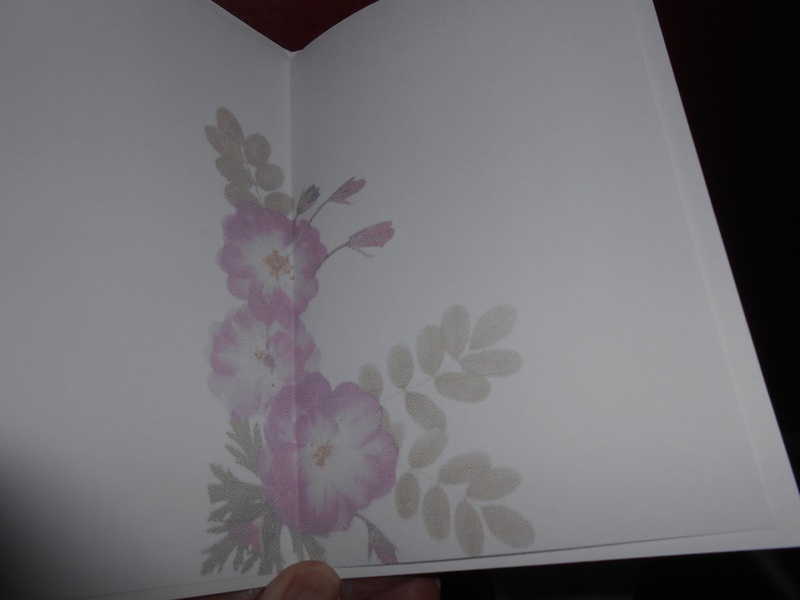 To add a bit of interest I've also included faded images on the card inserts. It was fun making the mini cards. At only 4 x 4 inches they were fiddly and surprisingly time consuming but I think worth it. The tiny floral images are my own and they are layered on top of background paper cut to size and a bit of glitter, gel pen and peel offs added to finish them off. 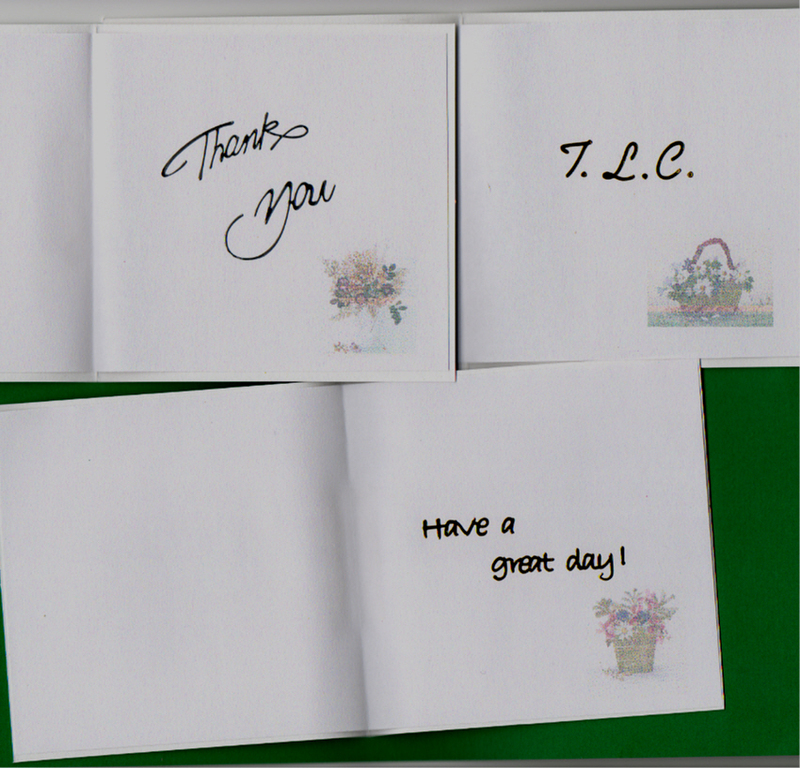 They also have a decorative insert and a short message. I owe my life to good surgeons, cancer specialists, my faith and the support I got from many wonderful people. The least I can do is give a little bit back and if I can encourage others to do the same then its all worth while. 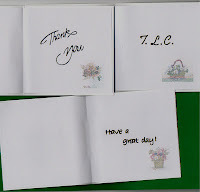 Wow you have been busy Carolyn and for such a good cause.I love the faded inserts.